Another quick update as we get going on day 2 of the 2016 NHL draft. - Keep an eye on the Rangers, who are trying to offload some of their veteran contracts as they continue to overhaul their roster. 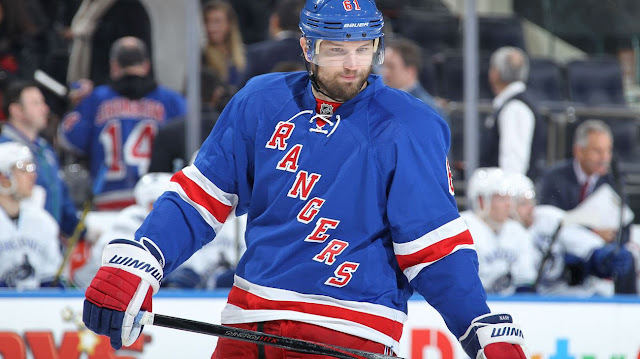 Dan Girardi, Marc Staal and Rick Nash are among the players rumoured to be on the market. - The Leafs have their #1 center and #2 goalie...now all eyes are on what they try to do on the blueline. They're expected to be aggressive on the trade market. Kevin Shattenkirk is a rumoured possibility. - The RFA interview period officially opens three days from now on June 28th. The top RFAs who are generating a bit of trade/offer sheet buzz are Seth Jones, Marcus Johansson, Alex Killorn, Mike Hoffman, Zemgus Girgensons and Valeri Nichushkin. Teams can submit offer sheets to RFAs starting July 1st.